PMT 2015-079 by Kenneth L. Gentry, Jr.
Postmillennialism differs from the other evangelical eschatologies in a very important respect: Postmillennialism is optimistic about the progress of the gospel in history. We believe that Christ’s victory on the cross will exercise a tremendous influence in history — before the end, before the return of Christ. We see this throughout the Scriptural record. Some amillennialists charge that postmillennialism is built solely on Old Testament texts, and that its optimistic outlook cannot be found in the New Testament. But that is absolutely mistaken. Let us consider one text in Paul as an example of Christ’s victory in history before his return: 1 Corinthians 15. But Christ has indeed been raised from the dead, the firstfruits of those who have fallen asleep. For since death came through a man, the resurrection of the dead comes also through a man. For as in Adam all die, so in Christ all will be made alive. But each in his own turn: Christ, the firstfruits; then, when he comes, those who belong to him. Then the end will come, when he hands over the kingdom to God the Father after he has destroyed all dominion, authority and power. For he must reign until he has put all his enemies under his feet. The last enemy to be destroyed is death. For he “has put everything under his feet.” Now when it says that “everything” has been put under him, it is clear that this does not include God himself, who put everything under Christ. When he has done this, then the Son himself will be made subject to him who put everything under him, so that God may be all in all. So then, the end of history is contingent: it will come whenever it may be that Christ delivers up the kingdom to his Father. But this will not occur until “after He has destroyed all dominion, authority and power” (see also: ESV). Consequently, the end will not occur, and Christ will not turn the kingdom over to the Father, until after he has abolished all opposition. Here again we see the gospel victory motif in the New Testament in a way co-ordinate with Old Testament covenantal and prophetic expectations. Notice further that 1 Corinthians 15:25 demands that “He must reign until He has put all His enemies under His feet.” Here the present infinitive for “reign” indicates an ongoing reign that exists as Paul writes. Christ is presently reigning, and has been so since his ascension. References elsewhere to Psalm 110 specifically mention his sitting at God’s right hand, which entails active ruling and reigning, not passive resignation or anxious waiting. As John informs us, Jesus is now “the ruler over the kings of the earth” and “has made us kings and priests to His God and Father, to Him be glory and dominion forever and ever” (Rev 1:5–6; cp. Rev 3:21). and Kenneth Gentry at the Van Til Conference in Maryland. Thus, in 1 Corinthians 11:25 Paul states that Christ must continue reigning as he puts his enemies under his feet. But to what point in time does his reign continue? The answer is identical to our previous conclusion: his reign from the right hand of God in heaven extends to the end of history. We must understand his rule as definitive, progressive, and consummative. 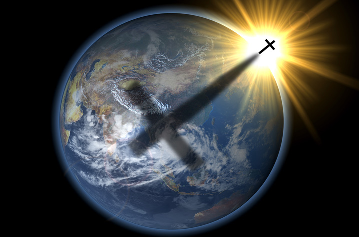 That is, during his earthly ministry he awaits his resurrection in order to secure the definitive (legal) right to all rule, authority and power (Matt 28:18; Eph 1:19–22; Phil 2:9–11; 1 Pet 3:21–22). Now that he rules from heaven until he returns, his return is delayed until he progressively (actively, continually) puts “all His enemies under His feet” (Paul’s repeating the fact of his sure conquest before the end is significant). Then consummatively (finally and fully), he will subdue our “last enemy,” death, by means of the final resurrection at his coming.3 Thus, Church history begins with his legal victory at the cross-resurrection-ascension, continues progressively as he subdues all of his other enemies, and ends finally at the eschatological resurrection, which conquers the final enemy, death. In 1 Corinthians 15:27 Christ clearly has the legal title to rule, for the Father “has put everything under His feet.” This expression (borrowed from Psa 8:6) corresponds with Christ’s declaring that “all authority has been given Me” (Matt 28:18). He has both the right to victory as well as the promise of victory. Psalm 110, especially as expounded by Paul in 1 Corinthians 15, shows that he will secure historical victory over all earthly opposition before his second advent — in time and on earth. ← WILL THE SON OF MAN FIND FAITH? ~ Acts 24:15 – I have hope in God, which they themselves also accept, that there will be a (singular) resurrection of the dead, both of the just and the unjust. ~ John 12:48 – He who rejects Me, and does not receive My words, has that which judges him—the word that I have spoken will judge him in the LAST DAY. These passages and others like them make premillennial eschatologies theologically impossible.